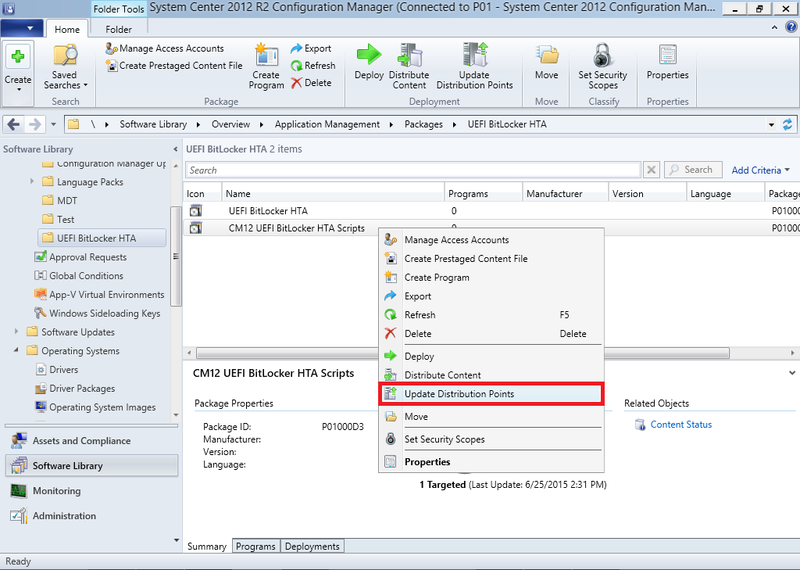 How can I Enable BitLocker on Hyper-v Gen 2 virtual machines during OSD using System Center 2012 R2 Configuration Manager ? 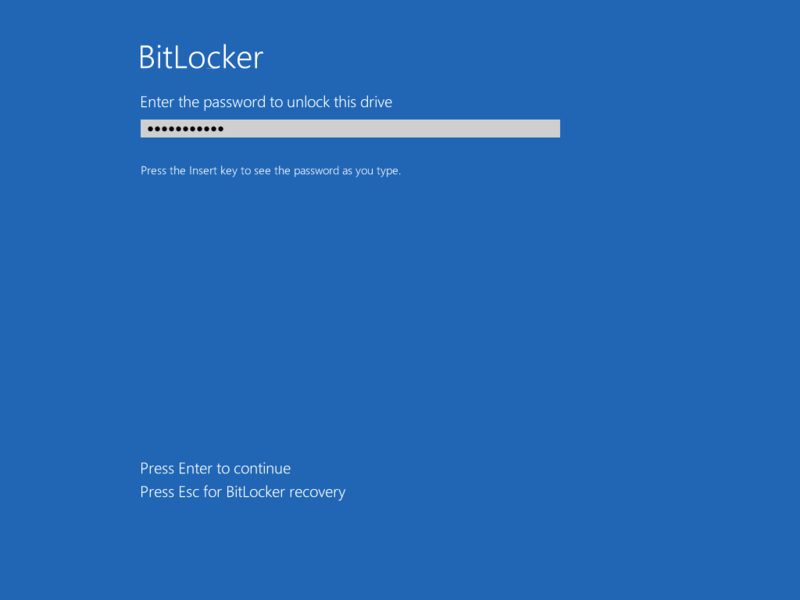 Enabling BitLocker during New Computer scenarios has been a task organizations have been using for years now, indeed you've had the ability to automate it fully using FrontEnd's such as this one. As Virtual technology (such as Microsoft Hyper-V Generation 2) has improved in leaps and bounds, so has the need to protect those assets. Of course you can BitLocker the Hyper-v host but wouldn't be nice to also BitLocker the virtual machines running on that host and do so using a task sequence in System Center 2012 R2 Configuration Manager. Up until now that's been a manual experience but with the steps below, it's semi-automated. I say semi because some user input is required in order to bypass the lack of TPM in a virtual machine. Tip: Rather than create all these steps you can download the entire task sequence and scripts required in the CM12 UEFI BitLocker HTA which was updated with these changes, June 25th, 2015. Step 1. Download the scripts. 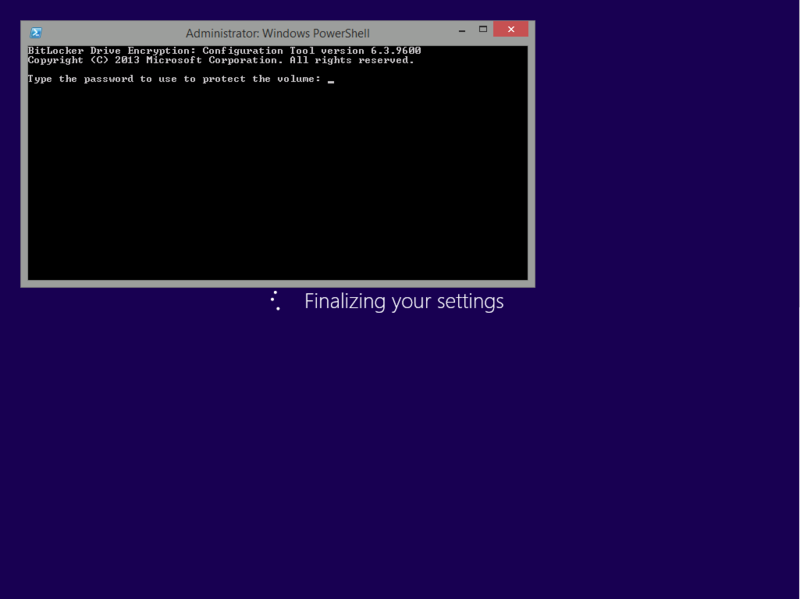 I've created a few PowerShell scripts which you can use to achieve this task. Extract the scripts to a folder on your ConfigMgr server. 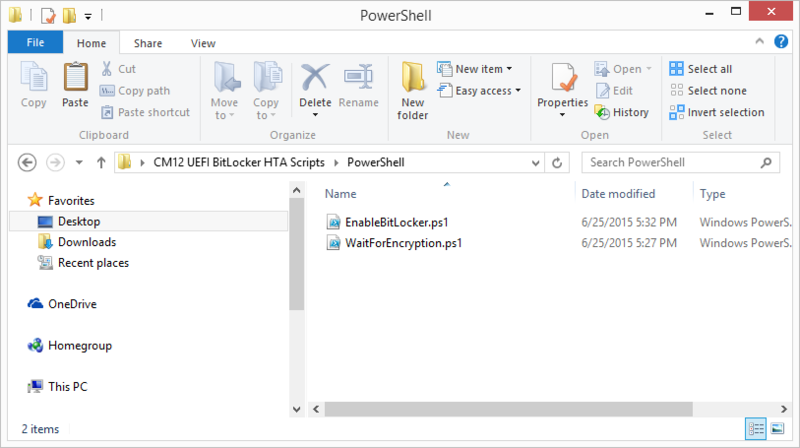 On the ConfigMgr server, create a new package called CM12 UEFI BitLocker HTA Scripts (or if you are already using the CM12 UEFI BitLocker HTA merge these files with the existing package and update it to your distribution points). Once the package is created, distribute it to the distribution points. 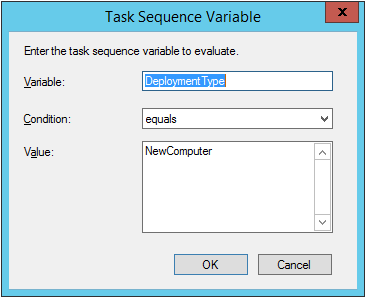 In your deploy task sequence, add a new group by clicking on the Add drop down and select New Group. Give the group a new name called Configure and Enable BitLocker - NewComputer, click on the Options tab and select that the step runs if Task Sequence Variable DeploymentType = NewComputer as shown below. Next, create a new Run Command Line step outside of that group called Add reg keys to allow for no TPM and paste the following code into it, this code allows the Hyper-v Virtual Machine (Generation 2) to become bitlockered without a TPM and without having received Group Policy to do so. The line above basically pops up a message and waits until the user clicks ok to continue. 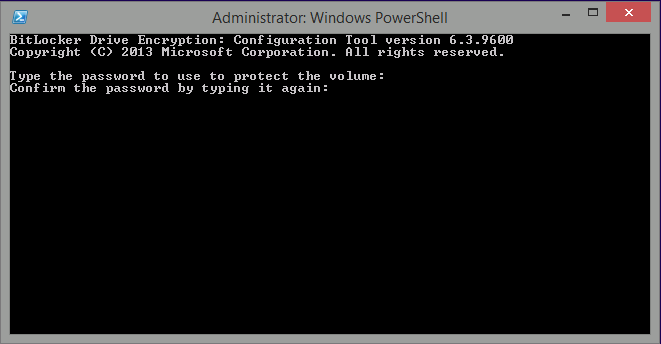 Command Line: %deployroot%\tools\x64\ServiceUI.exe -process:TSProgressUI.exe %SYSTEMROOT%\System32\WindowsPowerShell\v1.0\powershell.exe -NoProfile -ExecutionPolicy bypass -File "%scriptroot%\PowerShell\EnableBitLocker.ps1"
Command Line: %deployroot%\tools\x64\ServiceUI.exe -process:TSProgressUI.exe %SYSTEMROOT%\System32\WindowsPowerShell\v1.0\powershell.exe -NoProfile -ExecutionPolicy bypass -File "%scriptroot%\PowerShell\WaitForEncryption.ps1"
That's it, save the changes and start testing the task sequence. Note: While entering the password, no characters will appear in the cmd prompt, so enter it carefully ! 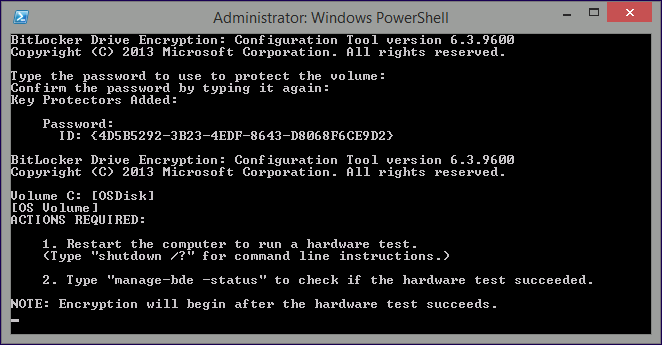 and now, you enter the BitLocker password in your Hyper-v Virtual machine, this is necessary as there is no TPM to store the password. 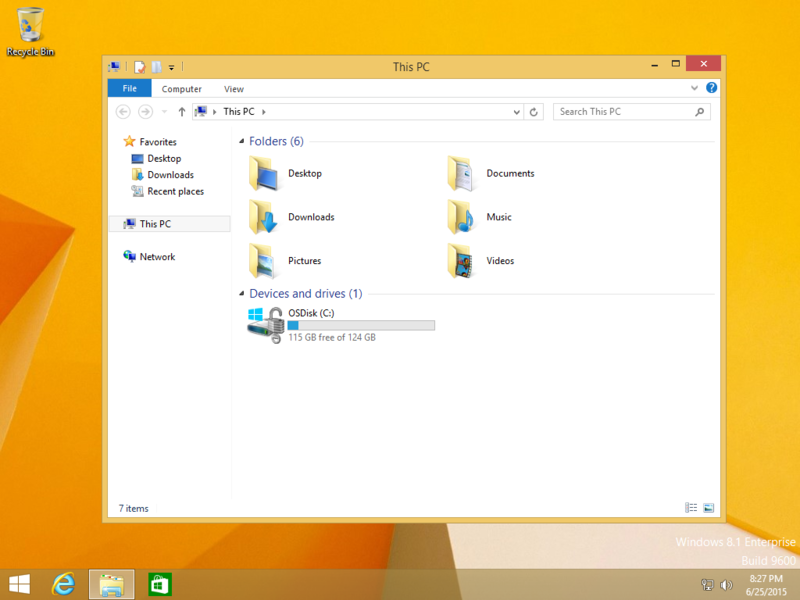 and after completing that successfully, the task sequence finishes and you can login to review the BitLocker state. 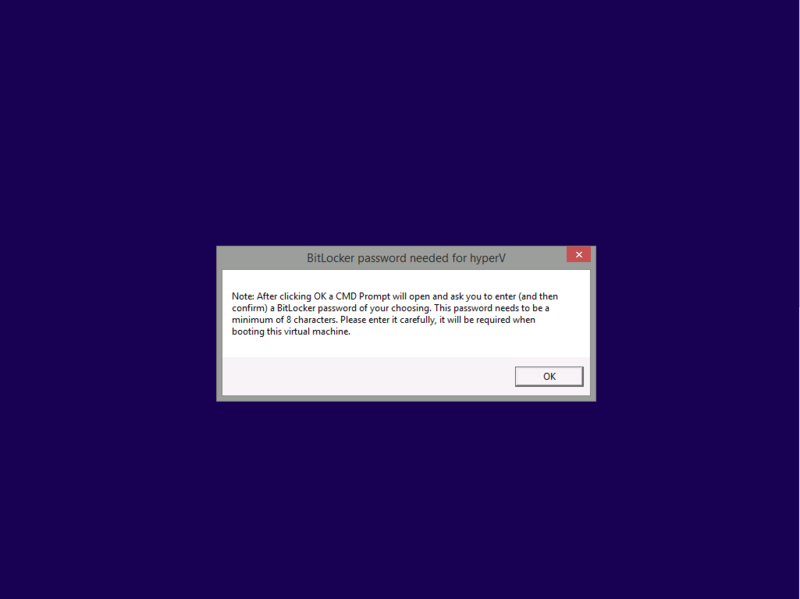 Could you help me how to setup bitlocker on sccm or laptops and VM?